Cariloha recently introduced its new bamboo towel sets that take bamboo softness to a heavenly level. Our new dreamy-soft towels use a proprietary blend of bamboo that Cariloha has been engineering over the past year. With all the unbeatable bamboo properties that these towels have to offer, they’re guaranteed to make drying off after your shower an irresistibly soft experience. The new Resort Line Collection towel sets will be replacing Cariloha’s current solid color towel sets over the next couple months. o	New White/Caribbean Sand color is available immediately to replace our current Taupe color. o	Blue transitions to our new White/Ocean Blue Resort Line towel set. o	Chocolate transitions to our new White/Shoreline Gray Resort Line towel set. o	Green transitions to our new White/Sage Resort Line towel set. o	White transitions to our new White/White Resort Line towel set. This new Resort Line Collection is just the beginning of many new and exciting changes coming to Cariloha’s bamboo towel line later this year. Look for additional updates such as new colors, single towels available without the set, new bath sheets (larger bath towel size), and more! •	New towel sets feature a proprietary bamboo fabric that has been over a year in the making. •	New 50% Bamboo / 50% Cotton blend provides an exceptionally soft, highly absorbent towel with just the right amount of cotton blended in to help keep the towel light and fluffy. •	New extra-smooth, slightly twisted bamboo yarn is loomed perfectly to 600 grams per square meter (gsm) and features an infusion of special silicon softener, resulting in an even softer, finer hand for increased bamboo-soft comfort. 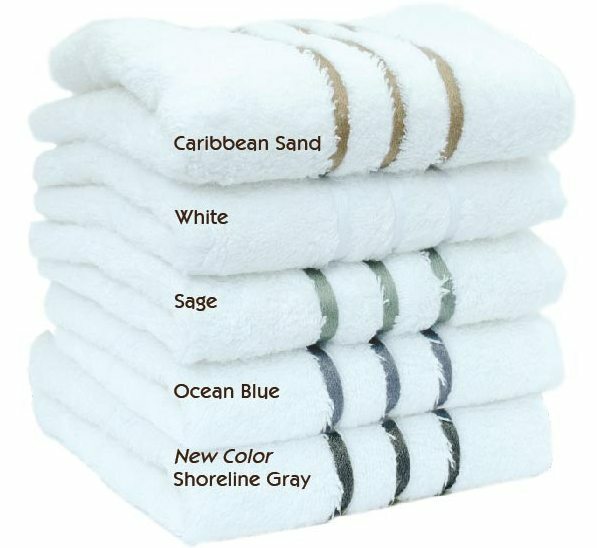 •	New bamboo towels are luxuriously plush, hypoallergenic, and snag resistant. •	The jacquard patterning has been updated to a contemporary, stylish three-stripe contrast-stitch border, offering a perfect splash of color. 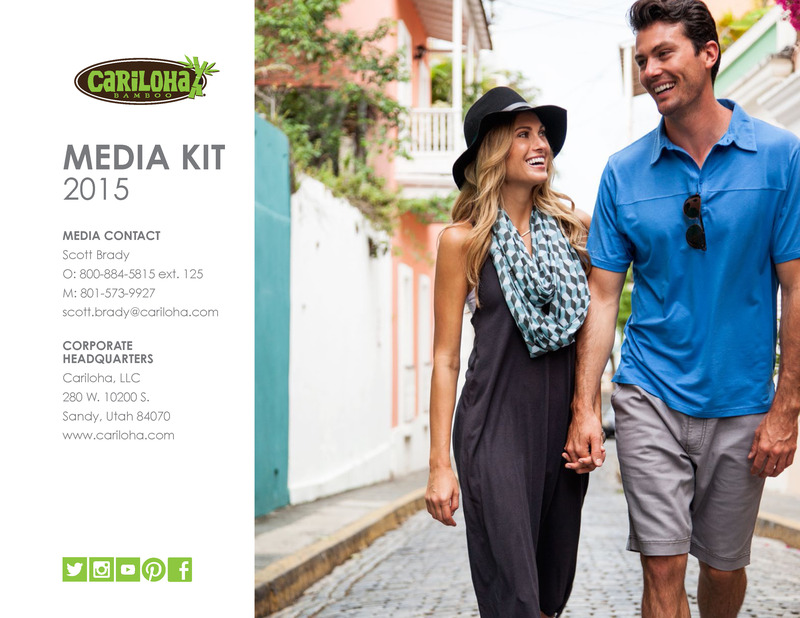 •	New Cariloha towel set sizes are the same as the previous towel sets and are sold for the same retail price of $69.00 / set. •	Machine washable and tumble dry low. Maintenance is easy and worry-free. Towels will stay soft and fluffy even after washing. If you’re from a warm or humid climate, the towels’ anti-bacterial/anti-microbial properties prevent them from smelling of mildew – even after several days or weeks without washing. If you’re from a cooler climate, the towels’ thermal-regulating properties help keep you warm after a shower. Cariloha’s innovative technology and strategic use of bamboo fibers allow us to make a 600 gsm towel softer, plusher, and more absorbent than towels of 750 gsm or higher. Bamboo towels come with a 90-day satisfaction guarantee. If the towels don’t live up to your expectations, Cariloha will replace them without reservation. Previous Previous post: Cariloha Bamboo Sheets Rock!